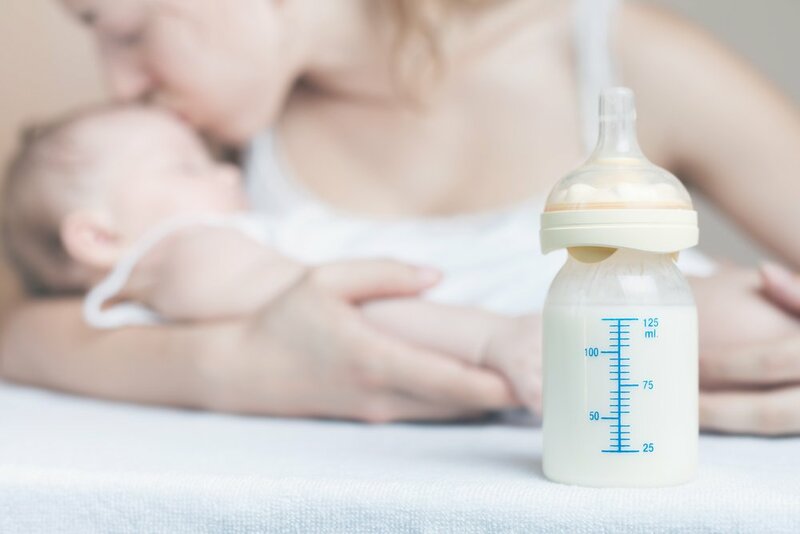 Breastfeeding / What to do if breastfeeding is not for me? Organization and preparation: It is important to have fresh formula available for use. If needed, you have to carry bottles and formula when the baby is out and about. Also, if the milk is not at the right temperature for your baby, it has to be heated under warm water, or be taken preheated. Cost: Generally, formulas are costly and have an impact on the family budget. It is not tailor-made for your baby. Formula can’t change according to the needs of every baby as breast milk does. Furthermore, it doesn’t contain all the antibodies that breast milk provides. Despite the pros and cons of using formula, the final decision is yours and you know what is best for you and your baby! Breast milk can provoke physical or emotional difficulties, so if you decide that formula is for you, great! Don’t let anyone make you feel guilty about it. Furthermore, there are cases where it is not physically possible to breastfeed or your baby can’t digest breast milk. This doesn’t mean that you can’t give your baby the same love, nutrition, or affection. With the use of formula, you will be able to create an affectionate bond with your baby and assure good nutrition. Just remember to talk to your doctor so that you find the type and brand that best meets the needs of your baby and family.